Plenty can – and probably will – change in November, but as we enter October’s international break the Premier League is wonderfully tight. It might not say much for the division’s bottom half, who can be brushed aside without much fuss, but there are currently five clubs separated by two points. After last season’s landslide, we might just get a title race. The Premier League’s perfect double act. Alvaro Morata may have scored his second goal in four days having been introduced as a substitute, but he should not expect to start regular Premier League games this season. Maurizio Sarri has his solution. 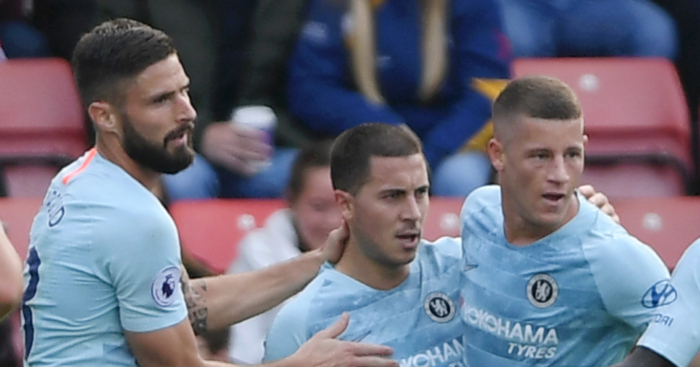 Sarri’s priority at Chelsea has been to get the best out of Hazard in a quasi-replication of Dries Mertens role at Napoli. Hazard may nominally start on the left – according to the teamsheet at least – but with Marcos Alonso pushing forward he has licence to roam and spend as much time on the edge of the penalty area as possible. But Giroud is crucial to this plan, a striker who Hazard called the “best target man in the world” a fortnight ago. While Morata’s principal aim is to score goals, Giroud is far more selfless. His runs drag away defenders to create space for Hazard, while the Belgian benefits too from Giroud holding up the ball and bringing him into play. This is a role reversal from our usual expectation of a wide forward-central striker combination, the centre-forward acting as the foil for the top scorer in the division. Giroud has not scored a Premier League goal since May 6. In any other situation, that would be a disaster. 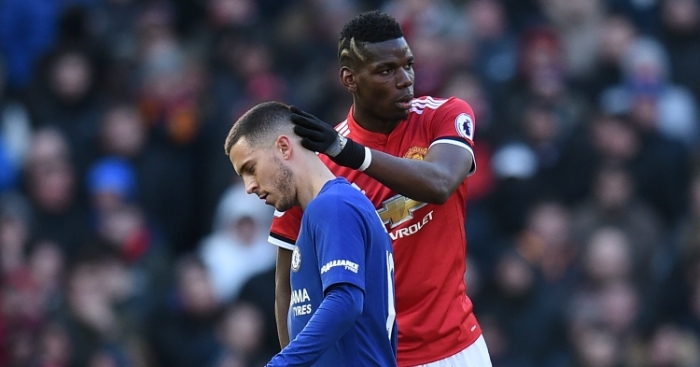 For Chelsea, Sarri and Hazard, it is perfectly acceptable. ‘Be careful what you wish for’ is always a dangerous piece of advice to give to football supporters, not least because it is usually issued to people who travel the length and breadth of the country to watch their team by people who only see them infrequently when tasked with writing a newspaper column. Arsenal’s problems have not yet been solved, and to pretend as much would risk making Unai Emery a victim of his early-season success. They have lost to Chelsea and Manchester City and beaten everyone else, which sounds like a team who will fight for a top-four place but may ultimately miss out. Given the way in which this club had been watermarked by Arsene Wenger’s decline, that would be satisfactory for Emery’s first season. For one, the defence is still often shambolic. Shkodran Mustafi retains his propensity for calamity (though he was excellent this week), while early evidence suggests that he has welcomed Sokratis into that same club. Against Fulham, the usually reliable Nacho Monreal was at fault. With Arsenal, an apparently serene stroll can be interrupted by embarrassing stumble. But we never expected perfection. What match-going supporters wanted to see was some evidence of progress, a sense that Arsenal were being coached more effectively than during Wenger’s last two years and learning lessons from the great manager’s downfall. On that measure, Emery has impressed. 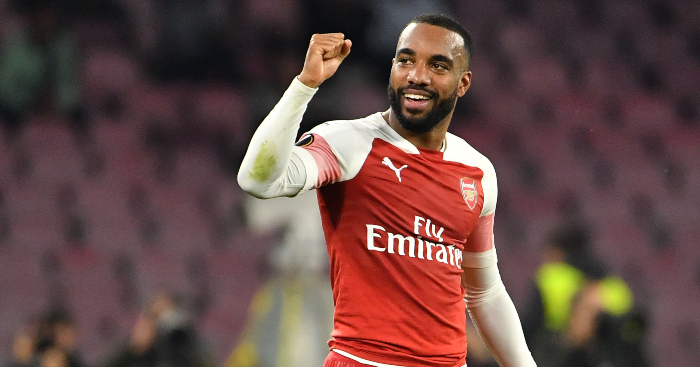 Arsenal have already scored 60% of their away league goals from last season, and they are only one away victory short of their entire total from last season. 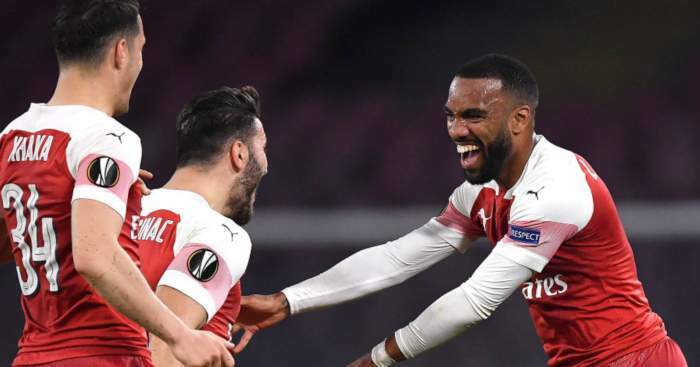 There is a confidence to Arsenal’s attack away from home that simply wasn’t there last season. Look at the jump in form that Alex Iwobi, Alexandre Lacazette and Hector Bellerin have made. Look at Arsenal’s third goal against Fulham, with several component parts working in perfect harmony. And then try and tell those supporters that they should have been careful what they wished for. Arsenal fans do not support a team that can win the league title, whatever the meagre gap to the top. But that was never the point of demanding change. They do now have a team in which they can believe. They can also look forward to away games again, rather than watching them from behind the sofa or through their fingers in the stadium. Winner because the handy Friday night leak that he was to be sacked provoked the desired reaction from Manchester United supporters at Old Trafford. Winner because players who had been accused of deliberately downing tools eventually showed some fight. Winner because they won, somehow and some way. Winner because he’s still there, somehow and some way. Manchester United’s problems aren’t going to go away. They clawed no points back on the top five and fell 2-0 down to a team that hadn’t led in any match in any competition since May. Had Manchester United failed to win, Mourinho would surely have been sacked on Sunday. Their next run of fixtures may see to that: Chelsea, Juventus, Everton, Bournemouth, Juventus, Manchester City. This may have already gone too far. But, for now, Mourinho fights on. His post-match insistence that he is the victim of a manhunt indicates that he has not quite given up on this project, even if it would be a truly extraordinary turnaround. It’s bloody lovely when someone who you firmly believe in does so well. With scant resources – at least compared to those around him – Howe has manufactured a long-term miracle. Good guys can finish…erm, seventh? It’s difficult to criticise Gareth Southgate for his faith in Danny Welbeck, given Welbeck’s international record. 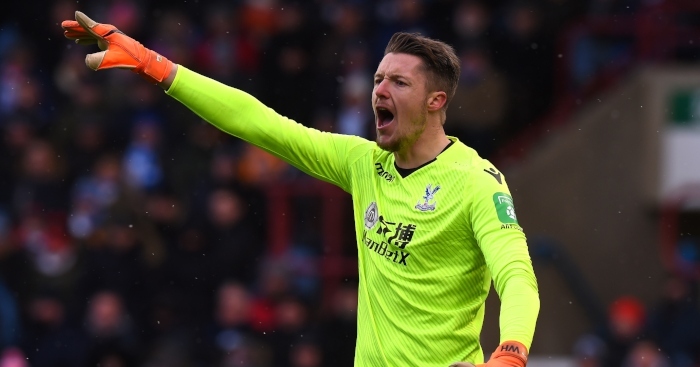 But given that England’s manager again chose to call up four goalkeepers, Wilson can consider himself unfortunate not to have been given a chance. In 697 minutes in the Premier League this season, Wilson has created 11 chances, had nine shots on target, scored three times and assisted a further four. His hold-up play is excellent and so is his intelligence. Now 26, where would he be were it not for two career-threatening injuries? Bournemouth’s front three were our early winners. His first Chelsea Premier League assist followed by his first Chelsea Premier League goal. Maurizio Sarri has already shown more faith in Barkley than Antonio Conte, and Barkley is a player who is only likely to flourish when he feels trusted. It’s pretty rotten news for Ruben with Mateo Kovacic on the bench, but Sarri cannot keep everyone happy. After an international recall in midweek, it has been a brilliant few days for Barkley. Cenk Tosun is a perfectly serviceable backup striker for a mid-table Premier League club, but he has never looked good enough to lead Everton’s line. Marco Silva’s tweak to start Richarlison as a central striker looks an inspired choice. Richarlison played predominantly as a wide forward at Watford last season – how could he not when they already had Troy Deeney and Andre Gray as strikers? – but has all the attributes to play through the middle. He is hardly the wispy waif you might expect to arrive in England from South America as a young winger. Against Leicester, Richarlison was brilliant. He started centrally, in the perfect place to score the opening goal, but drifted wide and allowed Theo Walcott to move inside or Gylfi Sigurdsson to push up and take his place. This gets the best out of Richarlison’s supporting cast too. Bernard looks a wonderful signing on a free transfer, Walcott is reborn at Goodison and Sigurdsson showing precisely the form that persuaded Everton to spend so much money on him last summer. This is the confidence that having a manager who believes in attacking football provides. Two of those are current England internationals, and another has just retired from England duty. The odd one out is a 35-year-old target man who seems to have harnessed a Benjamin Button spell. Murray’s age and style offers a strong defence of why he hasn’t received a call-up, but he shouldn’t take it as an insult. A striker who hadn’t played a top-flight match until a month before turning 30 is enjoying a wonderful autumn to his career. The greatest compliment we can pay is that a newly promoted team have just kept their fourth clean sheet in five league games and won their fourth match in five and yet it barely feels like news. Of course Wolves are no ordinary promoted team, but there were considerable doubts before last season about how they integrated star names within a Championship squad. There were considerable doubts before this season about how long it would take them to acclimatise to the top flight. Those doubts evaporated in the heat of the Indian summer. Wolves would have considered seventh place as the natural ceiling of their achievement this season. Not only are they there in early October, but Manchester City, Liverpool and Chelsea are the only three clubs to have lost fewer matches. Crystal Palace supporters who watched their team lose each of their first seven games without scoring last season are unlikely to be panicked by a team sitting 14th in the table going into October’s international break, but comparing anything to that clusterf*ck is unhelpful. The signs are not good. Palace have won once in the league since the opening day of the season, and have failed to score more than once since the same day. More worrying is the list of teams that they have failed to beat on that run: Watford, Southampton, Newcastle, Bournemouth, Wolves. Only Newcastle, Burnley and Huddersfield have had fewer shots on target since the opening weekend. Only the same three and Cardiff have created fewer chances over their last four games, and their opponents were Huddersfield, Newcastle, Bournemouth and Wolves. That should cause Roy Hodgson a fortnight’s worth of sleepless nights. Our old friend. It is an issue that has dogged Southampton for over two years and multiple managers, but Southampton abysmal shooting continues. They deserved nothing from their comprehensive defeat against Chelsea, but Danny Ings’ miss at 0-0 was woeful and Ryan Bertrand’s in the second half almost as bad. Southampton’s shot conversion rate is marginally better than last season in terms of league ranking (17th rather than 19th), but it has actually decreased from last season’s misery (10.98% to 8%) and they aren’t creative enough to cover for such inefficiency. You can read 16 Conclusions on a disappointing end to Super Sunday, but City and Liverpool can only be considered as losers. Liverpool lacked the majestic chaos of these fixtures last season, City spurned their chance to win the game and both clubs saw Tottenham, Arsenal and Chelsea all claw two points back. If a draw was hardly a setback, it was also the result their peers had prayed for. a) Allow a teammate to take it. You have played poorly in the match and there are a number of alternative takers. b) Pick up the ball yourself. This is your time to impress. a) For the bottom corner. Keeping the ball low allows for added accuracy, increasing your chance of getting the ball close to the post. b) Down the middle. You have studied Alisson, and know that he always dives one way or the other. A man predisposed to flirt with danger. Puel has been dealt with harshly during his time at the King Power Stadium, regularly linked with the sack despite taking the club up the league and attempting to refresh the squad with younger players. But for every two steps Puel takes in the right direction, he quickly shuffles back to where he started. League wins over Huddersfield and Newcastle United set up Leicester to turn up the pressure on an Everton team with only two away league wins in 2018. The groans that rang out at full-time summed up the mood. Another chance to accumulate some goodwill was lost. Surely now the end for Leicester’s longest-serving player and captain. Morgan was magnificent during the club’s title-winning season, but two red cards in three games for two yellow cards is proof that the legs just aren’t what they were. With Jonny Evans sat on the bench and Caglar Soyuncu unable to even make it that far, Puel is seemingly the only one who still has faith in Morgan. Clearly not a disaster given their start to the season, but those who wildly predicted that Watford could finish in the top four – or even win the title a la Leicester – should feel silly. Don’t make outlandish prophecies based on four matches of a season. You can’t fault Fulham for the number of defenders they signed this summer, and they are suffering from one or two injuries, but the suspicion remains that the club were captivated by big names in the attacking half of the pitch and have an unsatisfactory defence. In eight league matches, Fulham have conceded two or more goals on seven occasions and have allowed seven more shots on target than any other Premier League team. Continue at this rate and they will concede almost 100 goals. More importantly, they will go down. Twenty-two points from his last 30 matches as a Premier League manager. The evidence of this season would suggest that Hughes has dragged Southampton down to his level. They suffer from a lack of ambition against the weaker teams and can’t even lay a glove on the best clubs. If that makes Southampton sound like a mush lacking any obvious identity, Hughes’ critics might suggest that this is his party trick.